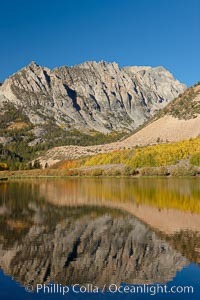 Aspen trees reflected in North Lake, Bishop Creek Canyon. North Lake Photo. 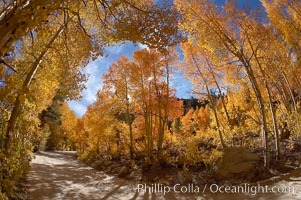 Aspen trees displaying fall colors rise above a High Sierra road near North Lake, Bishop Creek Canyon. North Lake Picture. 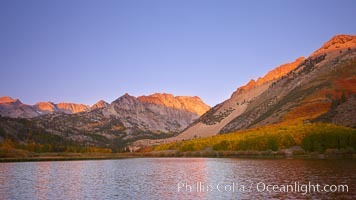 Sunset on North Lake in the eastern Sierra Nevada, autumn. Stock Photography of North Lake. 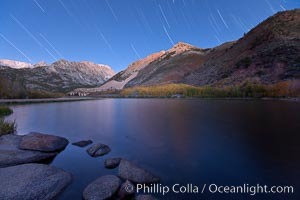 Star trails and alpenglow on the Sierra Nevada, Paiute Peak, before sunrise, reflected in North Lake in the Sierra Nevada. Photograph of North Lake. 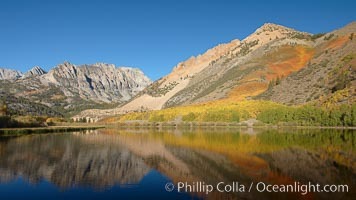 Sierra Nevada mountains and aspen trees, fall colors reflected in the still waters of North Lake. North Lake Photos. 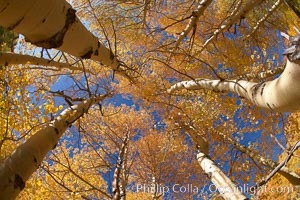 A grove of aspen trees, looking up to the sky along the towering white trunks to the yellow and green leaves, changing color in autumn. North Lake Image. 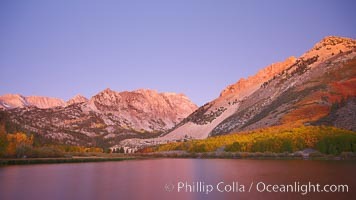 North Lake lit by alpenglow before sunrise, a three frame panorama, with groves of yellow and orange aspen trees on the side of Paiute Peak. Professional stock photos of North Lake. 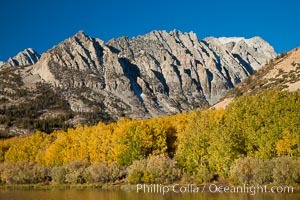 Aspen trees in autumn, fall colors, eastern Sierra Nevada. Pictures of North Lake. 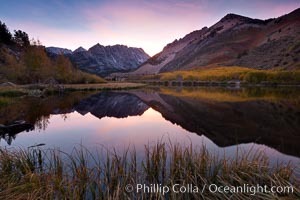 Sunrise on Paiute Peak, reflected in North Lake in the eastern Sierra Nevada, in autumn. North Lake Photo. 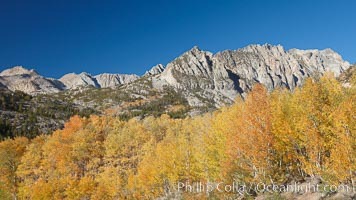 Aspen trees displaying fall colors rise alongside a High Sierra road near North Lake, Bishop Creek Canyon. North Lake Picture. 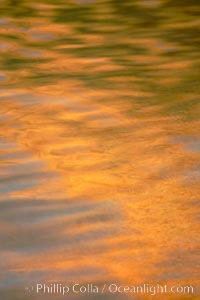 Orange aspen trees are reflected in the smooth calm water of North Lake. Stock Photography of North Lake. 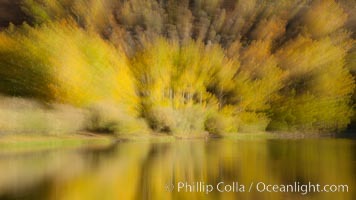 Aspen trees, fall colors, reflected in the still waters of North Lake. Photograph of North Lake. 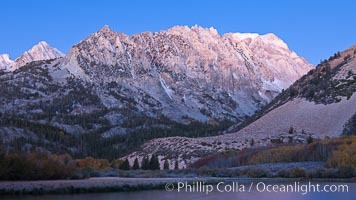 North Lake and Sierra Nevada, predawn alpenglow lights the peaks. North Lake Photos. 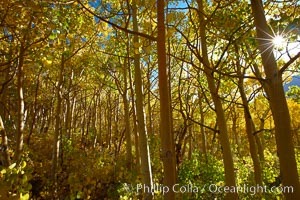 Inside a grove of young yellow aspen trees, in autumn. North Lake Image. 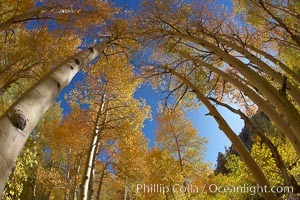 Aspen trees turn gold in fall, with peaks of the Sierra Nevada rising in the distance. Professional stock photos of North Lake. 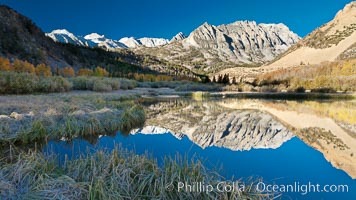 Sunrise on Paiute Peak, reflected in North Lake in the eastern Sierra Nevada, in autumn. Pictures of North Lake. 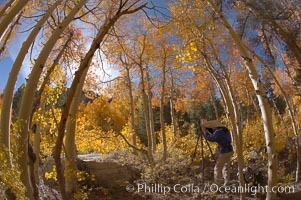 A photographer is surrounded by changing aspen trees, turning fall colors, near North Lake in the Eastern Sierra, Bishop Creek Canyon. North Lake Photo. 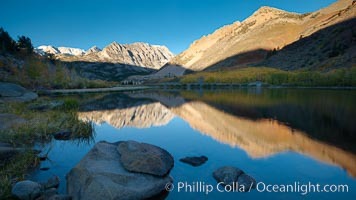 Orange aspen trees are reflected in the smooth calm water of North Lake. North Lake Picture. 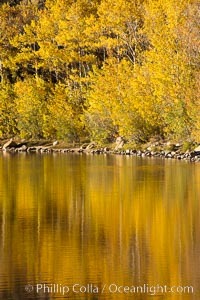 Aspen trees in fall, change in color to yellow, orange and red, reflected in the calm waters of North Lake. Stock Photography of North Lake. 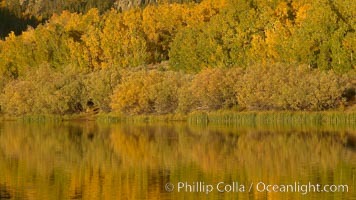 Aspen trees in fall, change in color to yellow, orange and red, reflected in the calm waters of North Lake. Photograph of North Lake. 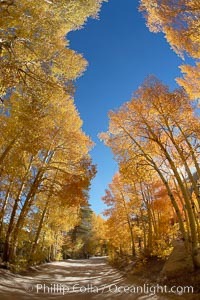 A grove of aspen trees, looking up to the sky along the towering white trunks to the yellow and green leaves, changing color in autumn. North Lake Photos. 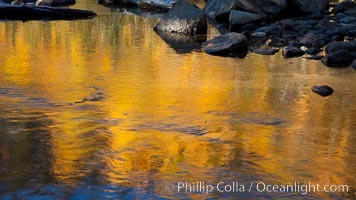 Aspen trees, fall colors, reflected in the still waters of North Lake. North Lake Image. 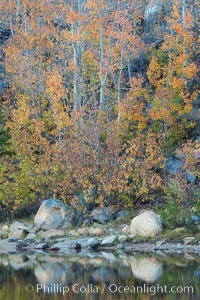 Turning aspens in autumn, reflected in North Lake. Professional stock photos of North Lake. 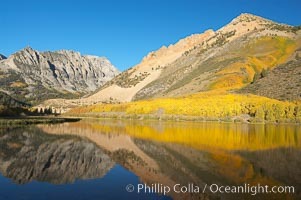 Sierra Nevada mountains and aspen trees, fall colors reflected in the still waters of North Lake. Pictures of North Lake. 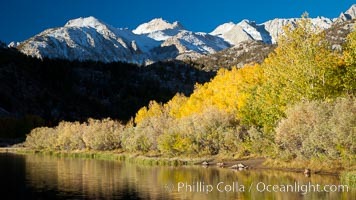 North Lake lit by alpenglow before sunrise, a three frame panorama, with groves of yellow and orange aspen trees on the side of Paiute Peak. North Lake Photo. 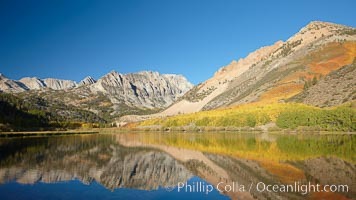 Aspen trees in fall, change in color to yellow, orange and red, reflected in the calm waters of North Lake, Paiute Peak rising to the right. North Lake Picture. 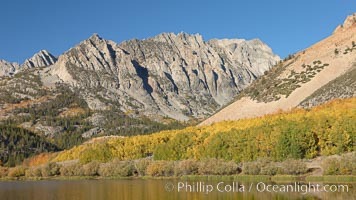 North Lake lit by alpenglow before sunrise, a three frame panorama, with groves of yellow and orange aspen trees on the side of Paiute Peak. Photograph of North Lake. 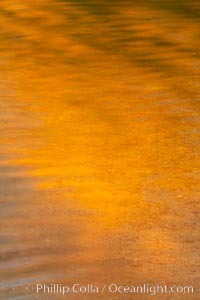 Aspen trees in fall, change in color to yellow, orange and red, reflected in the calm waters of North Lake. North Lake Photos. 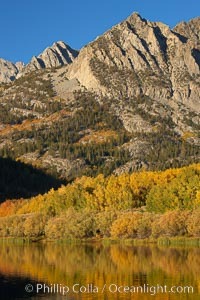 Aspen trees in fall, change in color to yellow, orange and red, reflected in the calm waters of North Lake, Paiute Peak rising to the right. North Lake Image.